Looks like I’m the only guy left on the New Mexico thread. Not a lot going on. Just waiting for the procs to come out. Probably not much difference than last year.Planning another trip to Sask in October. Shooting there is fantastic. Lots of ducks and especially Specs. Highland Outfitters provided outstanding services-great guides-even better food. Well,another season is about to be over. I can’t believe that all the former Field Editors have abandoned this site. A couple of years ago this was a lively site with lots of postings. Guess New Mexico waterfowlers have all given up and quit the sport. Bernalillo Co. you can’t discharge a firearm-bowhunting only. Sandoval is either reservation or Rio Rancho city limits. We will never get those back. Sandia/Isleta/Santa Ana res. you could have some phenominal goose hunts on in Dec/Jan. but I haven’t heard of it being done. Last post on WFC. Signed on to the darkside! Way to many illegal bird’s taken last season. They understand enforcement is a big part of it but big game gets all the resources. We are headed for hunters choice bag limits or some other change in limits if this continues. Spot closures on the river in Valencia county. As more people have built homes along the river there have been more conflicts. Homes have been peppered and some people just don’t like hunting going on near their property even if the hunters are at legal distances. There will be some specific sections closed this season in Valencia County. Valencia goes from Isleta to HWY 346. There is a definite potential the entire county will be off limits to hunting in the future. If we don’t make our voices heard, and help provide constructive input for a solution, a hunting ban is the most likely outcome. Looking at restricting hunter numbers on the refuges. Lot’s of bird misidentification on the refuges. They want idea’s from waterfowlers. Would rather not take opportunities away but something has to change. Will be holding dove hunts probably in the near future. Youth hunts are changing at Bernardo. Under harvesting as of now. Want to increase harvest. Increase permits,increase bag or increase season. Catch is the reporting of take and bio testing. Resource’s for testing and recording are thin. Currently 2 avid waterfowlers on the commission. May be the most waterfowler friendly commission we have had as far as getting resources allocated. Won’t happen if we don’t get involved in the process and voice our opinions and offer some help/ideas with solutions. BDA Taylor project is behind schedule. If you know how to operate heavy equipment and want to volunteer, BDA could use you. Plans underway for more improvements at La Joya/Bernardo. Getting NAWCA funding is in the works for 250k dollars in matching funds. DU chapters in NM have mainly been fund raising oriented. DU NM one of two states in the nation to show increases for the past year. CONGRATULATIONS AND THANKS TO ALL OF YOU WHO HAVE SUPPORTED DU IN NM. Valencia Chapter now up and running and the Chama Chapter will be coming back. Lot’s of interest from people who want to volunteer for project work. Need to harness this interest and plans are in the works. Tough money year with the economy. CRP is critical. 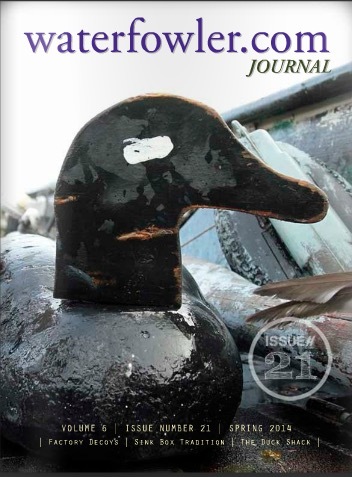 Bio fuel demand is going to impact waterfowl habitat. Get involved with your local committee’s. Hope I got it all correct. Please send any input you may have on NMDGF issues to them and start doing it now. If you want to volunteer go to DUCKS.ORG and you can find contact info and NM DU info on the state page. Call’em, Kill’em, Let the Dog Get’em. Anybody seeing any snow geese in New Mexico lately? They were also in SE NM, plenty of them! Matt they all stayed on the Northern end of Pena Blanca on the reservation side! I’ve never seen so many of them buggers. Probably explains why they banded all those widgeon in Socorro a few weeks ago. Would be interesting to see if the cholera outbreak follows the widgeon to other areas and infects other duck species. I’d like to know where our widgeon spend there time also. Most years the widgeon is our number 2 species for the bag. This year we shot far fewerer than the past 3 seasons. I heard from a customer that they have ssen a small outbreak in Cholera at the Bosque del Apache. Is this true, has anyone heard of this? I’m asking because I was hunting Bernardo this week and the game and fish were setting off charges all day to run off the thousands of ducks sitting on the main pond on the North side. Unfortunatley they didn’t fly in my direction. Also just a heads up the cinnamons are moving back up now and a couple of nice drakes were taken in that area this week. Hope you all had a great season, I know I did. New friends, new spots and good duck and goose#’s. Heading out in the morning for the last 4 days and it should be pheonominal. Good luck to all and we’ll see you next year. SHOOT EM IN THE FACE!! !